Between American Horror Story and American Crime Story, Ryan Murphy knows how to stack a cast, but clearly he’s trying to outdo himself with his first Netflix original. 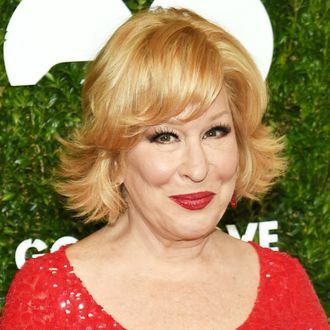 According to Variety, as announced by Murphy himself at Saturday’s PaleyFest panel for Pose, both Bette Midler and Judith Light have come aboard The Politician in as-yet unspecified guest star roles for the show’s first two seasons. While Transparent star Light played Marilyn Miglin, widow of Andrew Cunanan victim, Lee Miglin, in The Assassination of Gianni Versace, this will be Midler’s first journey into the Murphy-verse. Pose writer and EP Janet Mock will also direct an episode of the show. Dear Evan Hansen star Ben Platt is set to star in The Politician as hyper-ambitious teen Payton Hobart, a boy who “has known since age seven that he’s going to be President of the United States.” The show also features Jessica Lange, Gwyneth Paltrow, January Jones, Dylan McDermott and Zoey Deutch, among many, many others. On the other hand, Patti LuPone is now in season two of Pose, so Ryan Murphy is going to have to come correct if he wants to beat Ryan Murphy at his own casting game.